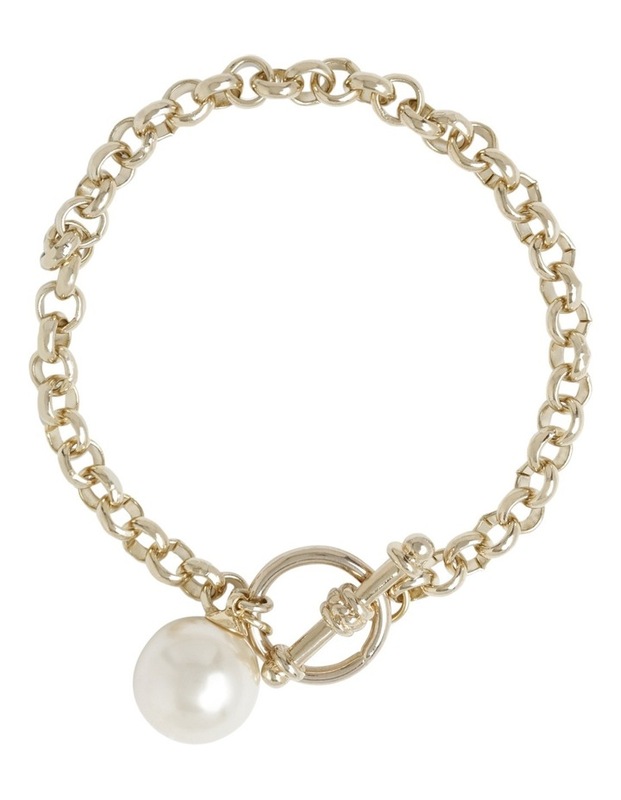 Faux Pearl Fob Chain Bracelet. 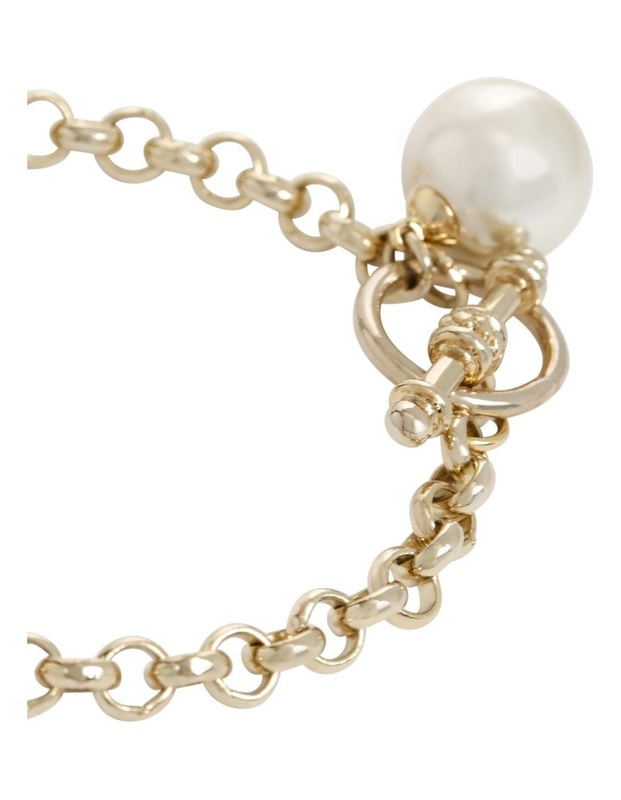 A small gold cable chain bracelet featuring faux pearl fob. Style No. GJBL001M.